Tycho is a nobleman and passionate thinker having everything. He speaks to the King, who supports his passion for observing the sky by kindly gifting him an island and a wealth of resources to build an outstanding observation facility. His position combined with twenty years of persevering diligence results in the most precise and most detailed dataset, The Tabulae Rudolphinae, about planetary motion in the 16-th century. The data is so precise that it will be in use by astronomers for centuries. Tycho’s plan with the tables is to prove his unshakeable belief in a complex geocentric world. However, this mainly theoretical mission exceeds his math skills and he quickly realises that he needs somebody to help while not stealing his carefully guarded data. Johannes comes from a family with barely enough money to eat. Instead of the friendship of the King, he is equipped with a mother tried for witchcraft. But he is a sharp guy with brilliant theories and math skills, having a special vision to see the order behind even the most sporadic and imprecise observations. Unlike Tycho, he is a great supporter of heliocentrism and has his own ideas about God’s geometrical plan for the universe. But theories are just theories without matching experimental data and such sophisticated theories require very accurate datasets to prove. However, such datasets are not found on every corner. The pair of Tycho and Johannes is a perfect match in terms of demand and supply. So it doesn’t come as a large surprise that their roads cross each other. Although rumour says that Johannes may have murdered Tycho for the data, the truth seems to be that Tycho started to share more and more of the tables as they got to know each other. 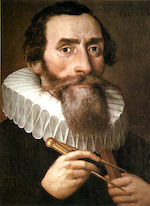 After the death of Tycho, the dataset has been used by Johannes to deduce his three laws of planetary motion and later on published carefully credited to its author. The setup may sound familiar huh? Data and ideas are well separated from each other in both social and geographical terms? The above stories of Tycho Brahe and Johannes Kepler have some kind of a happy end, but we may imagine how many bright ideas and rigorously collected datasets ended up in the garbage without finding each other. As of now, data is usually gathered at a specific place with a specific purpose, but its inherent potential may break geographical boundaries and trigger unexpected applications. Large companies and scientific institutions are usually the sources of carefully collected and organised datasets. However, the team gathering the data is usually a small set of scientists and engineers, who may have limited resources to utilise its full scientific potential. And this is not because of the limited capabilities, but the limited number of staff members concentrated geographically and socialised into the same community. So it is usually the case, that people coming from a different corner of the world will have a fresh look on the dataset and come up with something unexpected. Just like in the story of Tycho and Johannes. The noble, resourceful scientist and the sharp guy with brilliant ideas but nothing to eat. 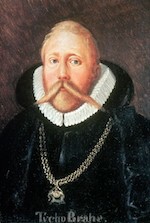 It is interesting that Brahe’s instructions to Kepler, when sharing the data, was to use it to prove his good old geocentric theorems. 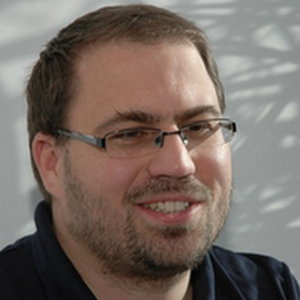 Kepler, however, with a whole different background took a new look at the data and turned the world out of its corners. If not this story, then what else can support the idea of data sharing?